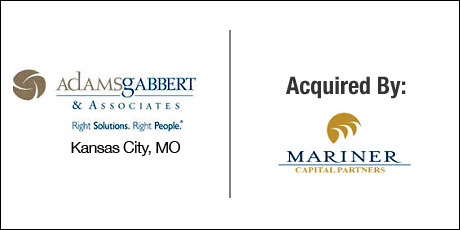 The Buyer: Mariner Capital Partners is the private equity arm of Mariner Wealth Advisors, located in Leawood, Kansas. The Seller: Adams Gabbert is a premier, minority-owned consulting company specializing in operations consulting: project management, process excellence, strategic alignment, risk management, and staffing. The Close: The owners had grown Adams Gabbert into a successful regional firm but they felt that they needed help to take their company to the next level. When the ownership approached DVS they were uncertain as to whether they wanted to sell the company that they had built or to franchise their concept nationally. DVS helped them identify financial security as being their primary priority and set out to find the ideal buyer. DVS confidentially found a buyer that gave the sellers the flexibility to stay on within the new company in an enjoyable role but also rewarded them with the financial security that they had been looking for.